When Brian Noehren, PT, PhD, FACSM, first began practicing as a physical therapist he had zero intention of pursuing a career in research. “I didn’t think I would step foot back on a college campus except to watch sports,” he quipped. But, after spending 4.5 years as a clinician, he grew dissatisfied with the lack of scientific evidence that supported the methods he used as a practitioner. 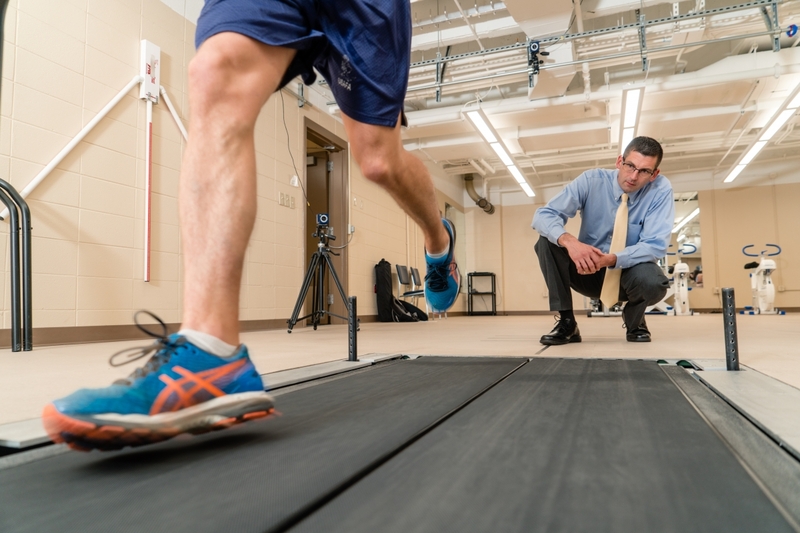 Now, Noehren is immersed in research as an associate professor in the divisions of physical therapy and rehabilitation sciences, and as the director of the University of Kentucky College Health Sciences Biomotion Lab. “I decided I wanted to be someone who was contributing to the solutions of what my patients were facing instead of feeling like I was on the sidelines,” he said. The Biomotion Lab is used by a wide variety of investigators who study conditions ranging from multiple sclerosis to sarcopenia (the loss of muscle tissue that is a natural part of aging). The overarching focus of the aspects Noehren is responsible for includes studying patients with orthopedic injuries and developing physical therapy strategies to alleviate chronic pain, improve muscle function, and restore healthy movement patterns. 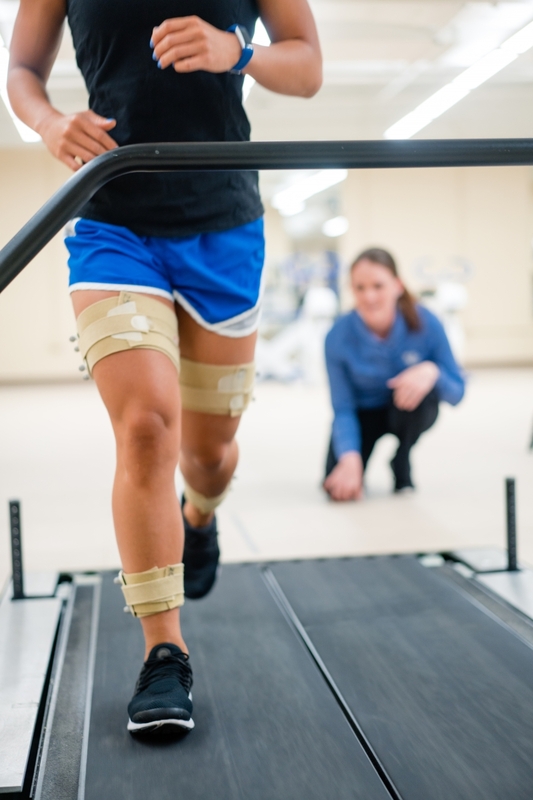 The bulk of the team’s research portfolio centers around anterior cruciate ligament (ACL) injuries which disproportionately affect younger people. This revelation sparked a profound paradigm shift in the health sciences community about muscle loss from orthopedic injuries and opened up a new area to be tested. According to Noehren, previous scientific findings pointed to changes in the nervous system as the main culprit for muscle loss. “However, if the nervous system isn’t accounting for this loss of muscle strength, it has to come from somewhere else. This discovery required a team with expertise in muscle physiology, physical therapy, and biomechanics. That’s what makes the Biomotion Lab and its partnerships so unique,” he said. 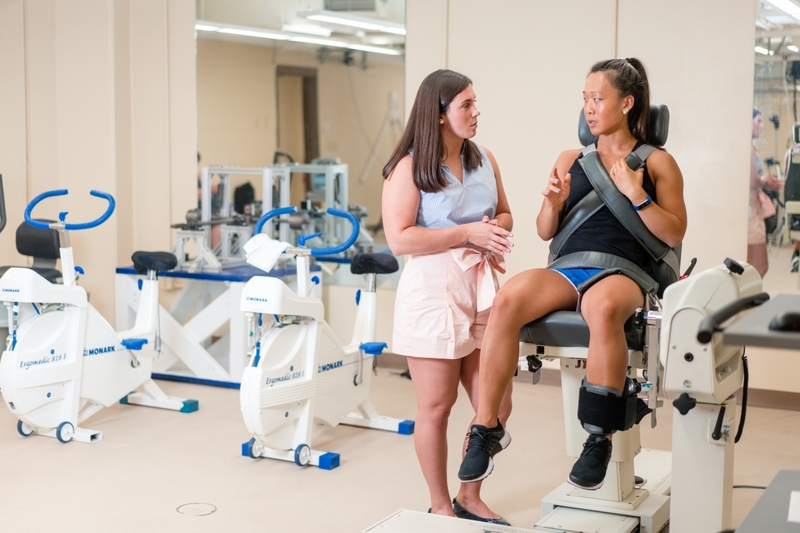 Thanks to a National Institutes of Health grant, the Biomotion Lab is exploring a new treatment for muscle atrophy called “blood flow restricted training”. This approach partially excludes blood flow to an injured limb and study participants then begin training at a light weight. The lab is also making strides in assessing muscle function. Noehren’s team has developed several imaging techniques that allow scientists to observe muscle function without performing invasive procedures like a muscle biopsy. Additionally, his group found novel ways to reevaluate muscle strength during the recovery process. “After an injury, the most important question is how quickly can you make your muscles work? We’ve even extended our findings in this area to create strategies for patients with osteoarthritis.” Noehren said. The Biomotion team is even tackling the opioid epidemic through a project led by one of Noehren’s graduate students, Josh Van Wyngaarden. “In any recovery process, a patient may experience acute pain that progresses to chronic pain. Josh’s project seeks to understand this process and see if it can be stopped. If we can halt the progression to chronic pain, then patients may never need to be prescribed opioids,” Noehren said.